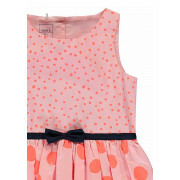 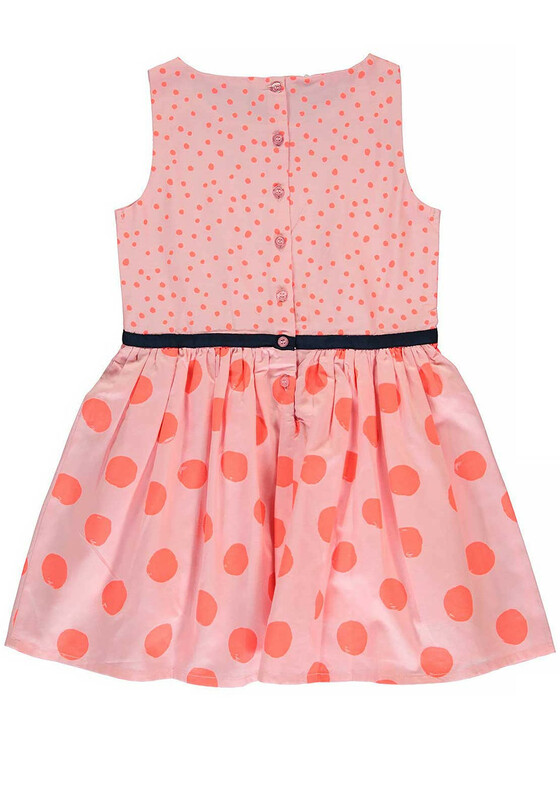 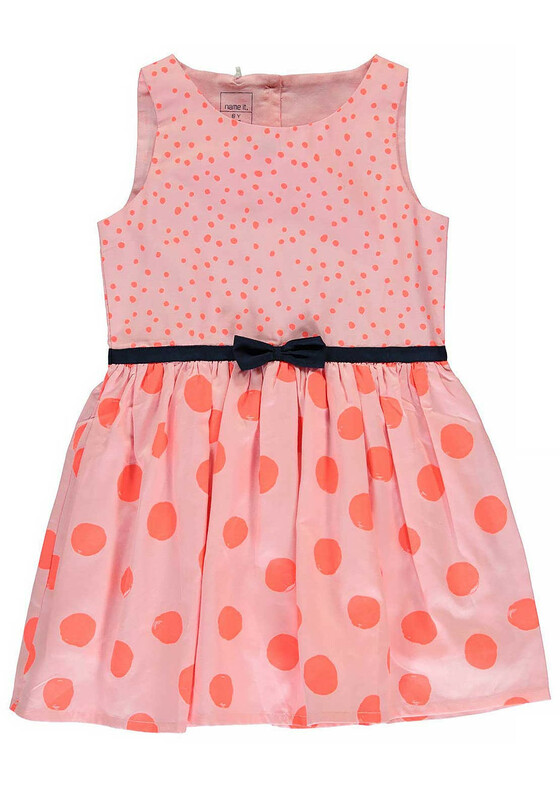 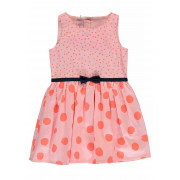 Create a mini chic look for your little lady with this stunning pink sleeveless dress from Name it with its bright neon polka dot print. 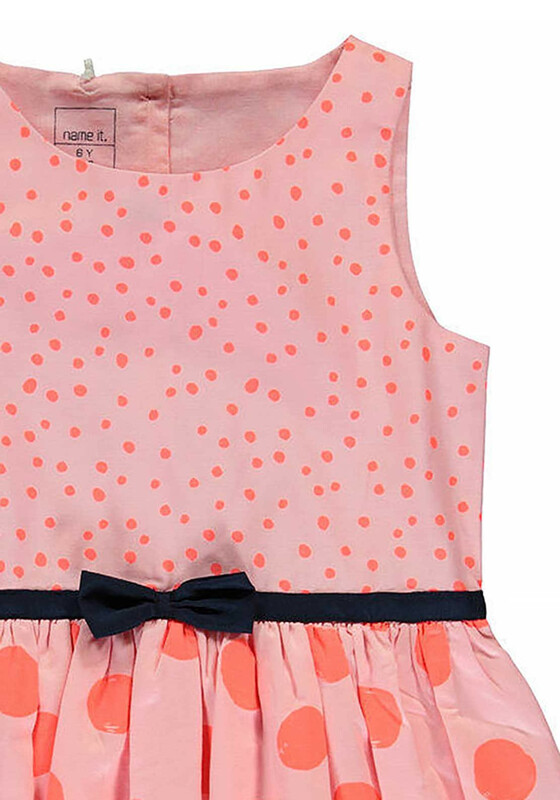 A cute piece with a pretty bow on the waist and a soft pleated skirt. 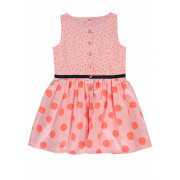 It is complete with a button fastening on the back and will look super cute with a cardigan and tights.